Custom engineered and manufactured composite clad metal strip for use in a wide range of electronics, electrical, and industrial applications is being introduced by Vincent Clad Metals of Warwick, Rhode Island. 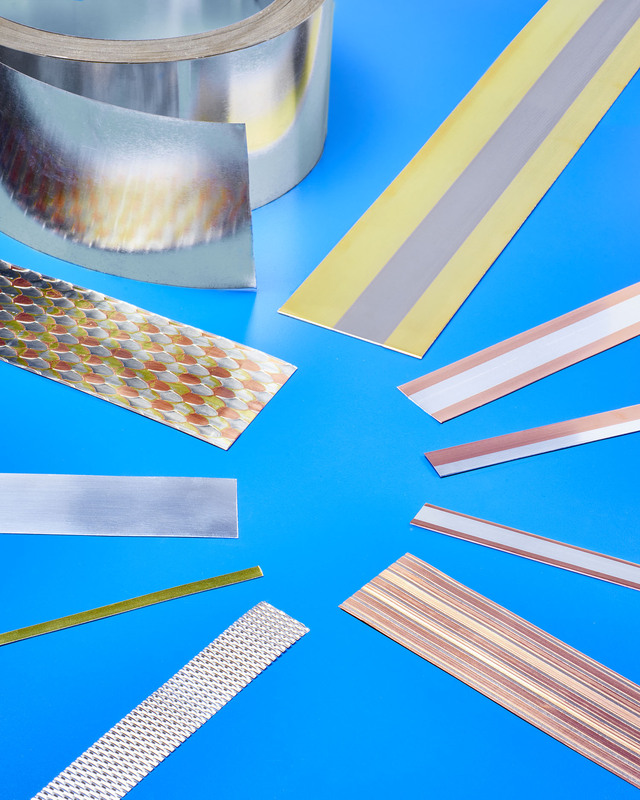 Vincent Composite Clad Metal Strip combines up to three metals such as aluminum, silver, gold and gold alloys, or other precious and base metals inlaid into copper alloys or steel to exploit the best properties of each. Work-hardened and metallurgically bonded, this robust clad metal strip is non-porous and superior to electroplated products for stamping, forming, fabricating, and withstanding harsh environments and critical applications. Available from 0.100” to 0.004” thick, Vincent Composite Clad Metal Strip meets or exceeds ASTM B248 special thickness tolerances and can be slit from 0.122” to 7.0” W, ±0.002”, depending upon thickness and material. Supplied in prototype through production quantities, typical applications include fabricating conductors, connectors, contacts, and related products. Vincent Composite Clad Metal Strip is priced according to configuration, and quantity with 6 to 8 week typical delivery. The firm will inventory products, including precious metals. Engineering assistance is offered. 33 Plan Way, Unit 3C.